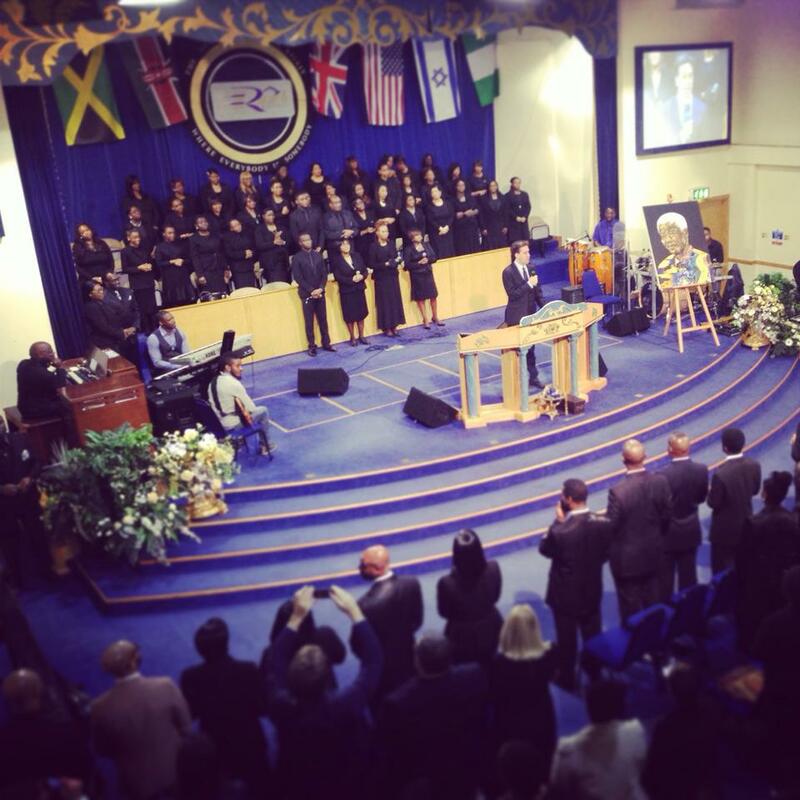 Labour’s Leader Ed Miliband joined local MP Chuka Umunna and hundreds of worshippers this morning at Ruach City Church on Brixton Hill in a service that paid tribute to Nelson Mandela as his funeral took place in South Africa. Ed and Chuka were introduced by Bishop John Francis of Ruach before both addressed the congregation, which also included Lambeth Council Leader Cllr Lib Peck and local councillor Martin Tiedemann. Ed Miliband talked in his speech about the ‘hills still to climb’ – the challenges that continue to face Brixton and the world that Mandela’s example showed we can overcome, such as economic opportunity for young black people and racial injustice. The full LBC interview can be heard below. This entry was posted in Blog and tagged Chuka Umunna, Ed Miliband, Martin Tiedemann, Ruach City Church by Martin Tiedemann. Bookmark the permalink.